The National Union of Journalists is gravely concerned at the announcement that Independent News & Media is seeking to acquire the publishing arm of the Celtic Media Group. Celtic Media Groups owns regional newspapers in Westmeath, Offaly, Meath, Cavan and Mayo. 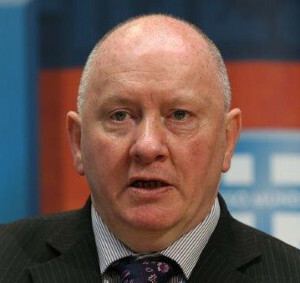 In a statement Seamus Dooley, Irish Secretary has called for a full investigation into the impact of the proposed acquisition on employment, competition and media diversity, by Communications Minister Denis Naughten. “In approving the acquisition the Minister is required to consider the issues of media diversity and plurality. This is the first time these powers can be used by the Minister, in addition to the powers of the Competition and Consumer Protection Commission. He added: “We have been involved in what we thought were good faith negotiations with the Celtic Media Groups in recent months and we expect the board to honour all commitment made to the NUJ. This latest expansion bid comes at the end of a week in which INM, the dominant newspaper publisher on the island of Ireland, announced that core editorial production functions are to be outsourced to The UK, with a loss of up to 27 permanent and contract jobs. Against the backdrop of compulsory redundancies and the transfer of jobs to the UK Mr Naughten must seek clarification from INM about how they propose to protect editorial diversity and plurality in the ownership and editorial management of the titles.